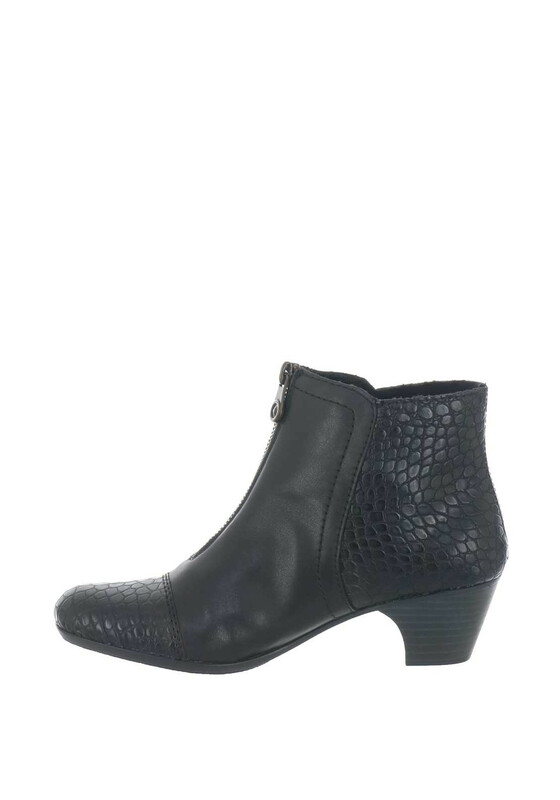 A comfortable choice for everyday wear, these black leather ankle boots from Rieker would be a stylish choice to wear with trousers or jeans. 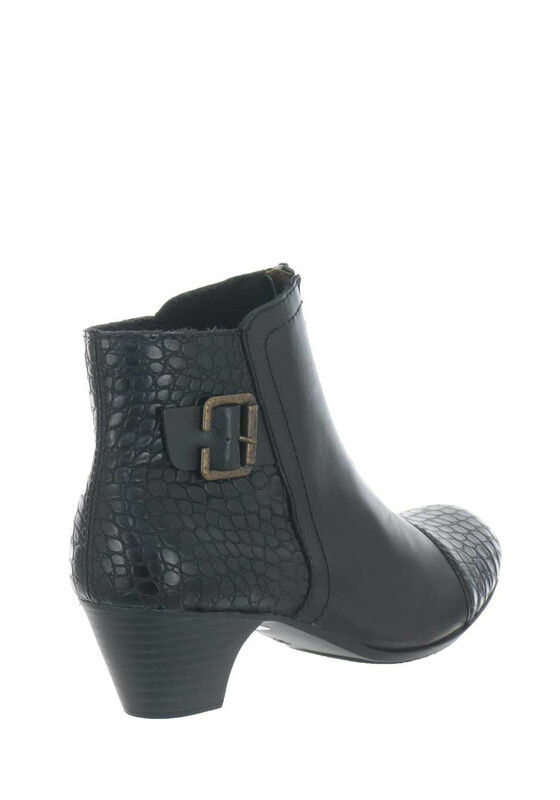 Featuring an eye-catching croc panel at the round toe and back. 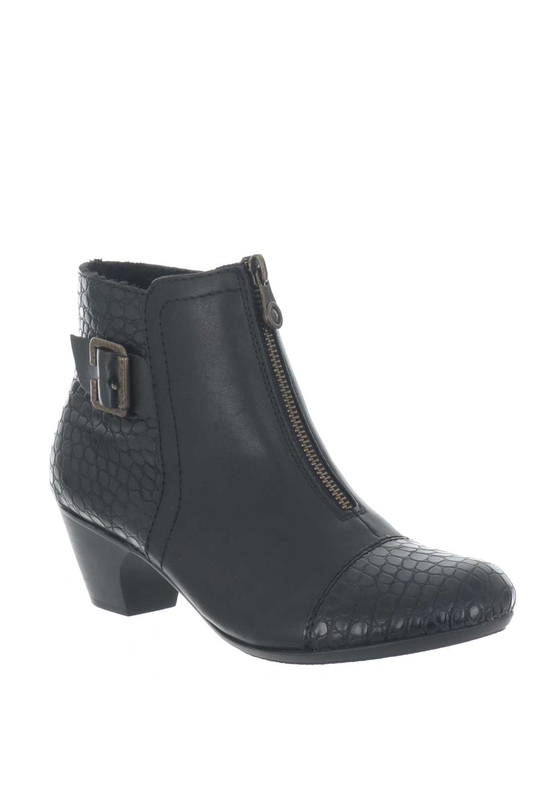 Other details include a low block heel and exposed zip fastening on the front.